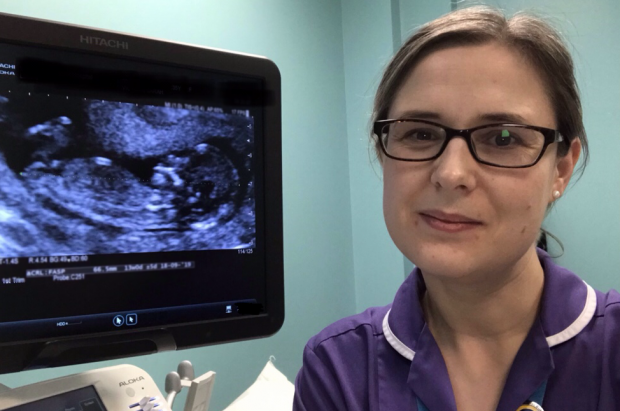 Part of my role as Deputy Screening Support Sonographer for Northumbria Healthcare NHS Trust is to act as a screening information resource for our wider team and to support them as we deliver the scan component of the NHS Fetal Anomaly Screening Programme (FASP). As the programme evolves there is so much to stay aware of, so it was with great anticipation that I boarded the 5am train from Newcastle to London to attend the national FASP screening support sonographers meeting. Truth to be told, with a 22-month-old and a teenager at home I was also looking forward to a hot cup of coffee – alone! We were given a warm welcome as we arrived at the Ambassadors Bloomsbury hotel. The conference was really well attended and the atmosphere very relaxed. It was a great opportunity to chat to colleagues from different regions and to hear about the challenges that they are also facing in providing the service. There is widespread pressure on scan resources and there is some great innovation going on around the country to tackle the challenges that this brings. The conference itself was very informative and it was really helpful to have representation from the Down’s Syndrome Screening Quality Assurance Support Service (DQASS) there on the day too. I think I may have interrupted their break time with all my questions! Sorry about that, but you were all so very approachable and I really appreciated the fact the both the FASP and DQASS teams made themselves so available to us on the day. It gave me the opportunity to gain a clearer understanding of some of the patient pathways and how to interpret the data that we are regularly sent from DQASS. The workshops were very informative, if challenging at times. I left with a much better understanding of the volume of data that can be gleaned from the distribution plots of individual practitioners and the overall trust report. As a group, we looked at a series of scan images and it was really helpful to hear everyone’s perspectives on the material. Everyone is trying so hard to do their best and it’s been so useful to feel like I can give more informed feedback to my colleagues. We were given a preview of the newly updated nuchal translucency (NT) e-learning module that is soon to be released on e-learning for Health. 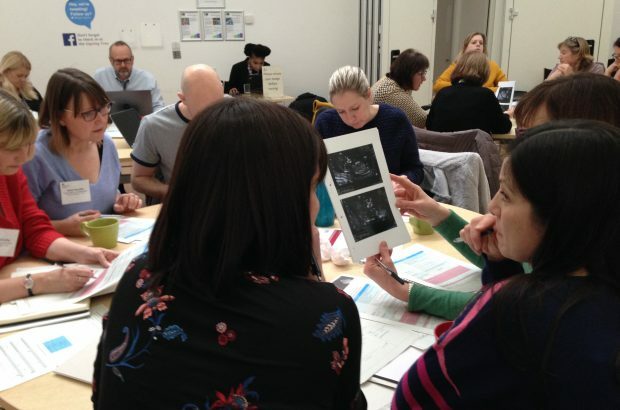 It’s very reassuring to see that some of the common concerns that sonographers frequently raise are being addressed in the training. If you’ve never made it to a regional or indeed national FASP meeting, I’d really encourage you to come along. It is not too formal and you will leave feeling uplifted and valued in your role, with lots of useful tips to share with your colleagues that will ultimately make this challenging role a little bit easier. I also attended this study day and left feeling reinvigorated and much more positive about my role as SSS. I also found that it assisted me in my approach to the QA visit that my unit had in early April.